Window Well Experts » Blog » Improving the Look of Your Backyard – Simple Things You Can do to Spice up Your Backyard! Is your backyard a space where you love entertain friends and family? Or maybe it is your relaxing sanctuary. Either way you want it to be well maintained and look beautiful. It will make you want to be outside enjoying the beautiful weather. Impress your family and friends with these simple tricks to give the exterior of your house some personality! Does your back deck color look a little bland? 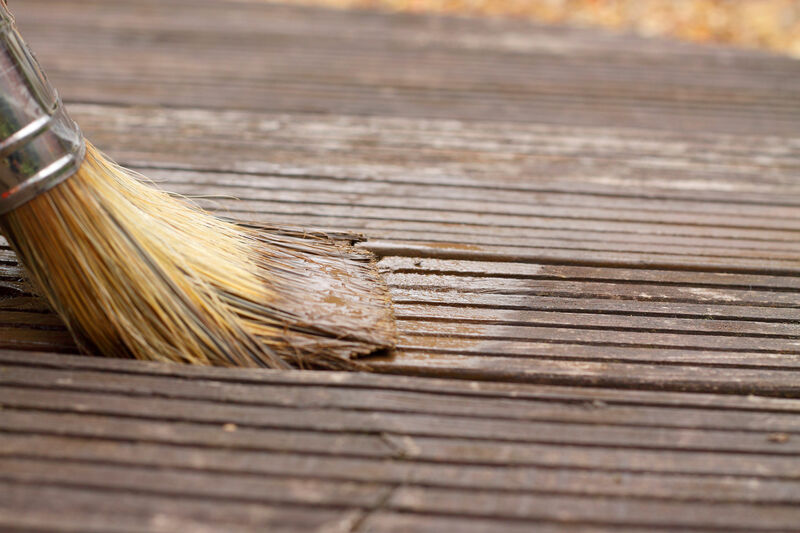 Is the stain or paint chipping and making your deck a little rough around the edges? Give it a fresh coat! Painting or staining is cheap way to make a huge difference in the appearance of your backyard area. All you need is little bit of time and your old painting clothes. A new trend in backyard design is giving your patio a multiple color look that really catches the eye. When choosing a color or colors, makes sure it complements the exterior of your whole house for a cohesive striking look. It may seem obvious, but it is very important to make sure your new colors match the ones that are already in place and are not so easy to change. Instead of using the same color on the railing, try white or another pop of color to give it some contrast! As always, don’t forget to seal the paint or stain when complete. This will help it to stay nice and bright for years to come. Do you ever look at that basement window well and think “what in the world can I do to make that look better?” The Window Well Experts have the answer for you. If you’re looking for a low-profile sleek look, their sloped window well covers are the perfect solution. This will eliminate the eyesore and give your backyard a clean appearance. All while still allowing plenty of natural light to shine through the cover and into your basement. Not only does it look great, but it is also made to last and withstand any weather and damage that it faces! Today we have so many responsibilities on our plates, who has time to spend hours keeping up with the yard? Add some low maintenance landscaping to spice it up and still keep things simple! 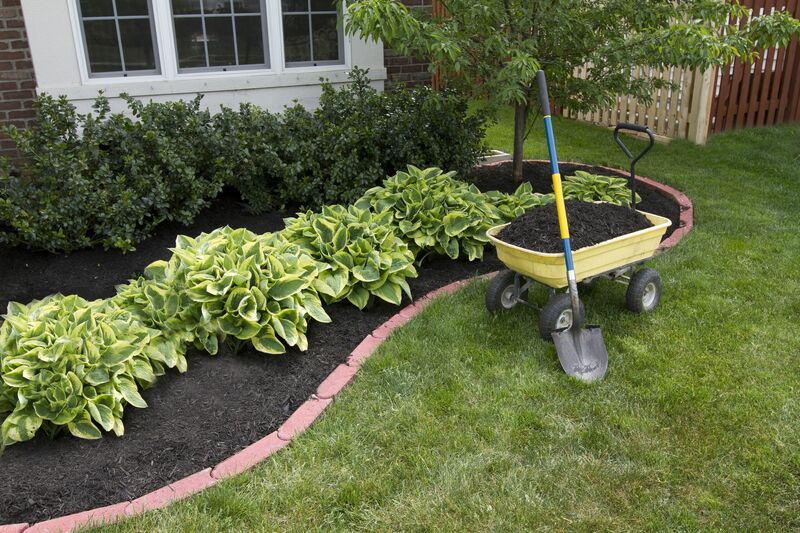 Instead of adding more grass around your living spaces, through in some mulch. No cutting or trimming required! Along with mulch being low maintenance, it stops weeds from growing and fertilizes your plants. No watering either. Just set it and replace from time to time to keep the color looking fresh. The biggest perk is that it’s inexpensive! The backyard that is! Adding lights will give it a warm, inviting, elegant feel with minimal effort on your end. Simply add some string lights to the railing of your back deck. You can also add string lights around the trees to enhance their beauty or outdoor LED strips to outline the patio and landscaping if you really want to get fancy! Another cheap and easy lighting option is to install spotlights. You can show off your home or all your lovely landscaping you have worked so hard on. This option works well with trees too! You can find LED spotlights at your local hardware store and install them yourself. If your backyard is looking a little rough but you want to have a nice area to entertain then you are in luck. You can make your backyard beautiful without spending a ton of money. All you need is these four tips for improving the look of your back yard and a little bit of time. Your backyard will be in tiptop shape in no time!